OOOOOOOOO !!!!! Seems to be floating right out at you. Nice touch. 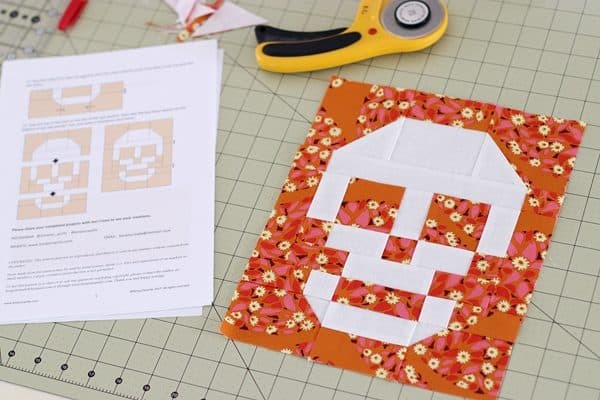 I subscribed and wanted to get the skull pattern. I don’t think I got it I checked my downloads and it is not there. Thanks for any help. We’re experiencing a technical difficulty with the PDF (and by “we” I mean me 🙂 but I hope to have it fixed soon…sorry for the inconvenience! OK – that should be fixed now. Sorry for the delay! Thank you for sharing this cute block with us — and FOR FREE!!!! 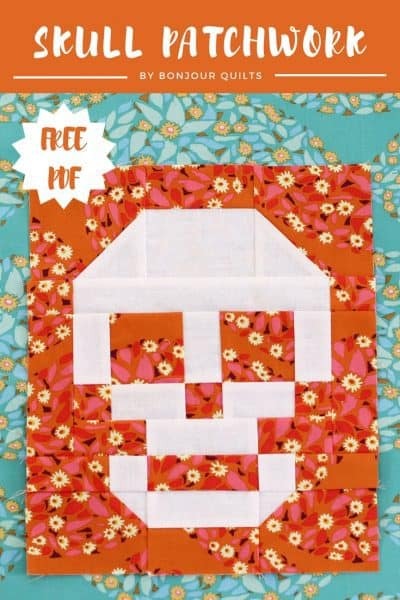 Don’t know what’s happening but I haven’t recd response to my request for skull pattern. I input info twice – am I doing something wrong? Thank you. 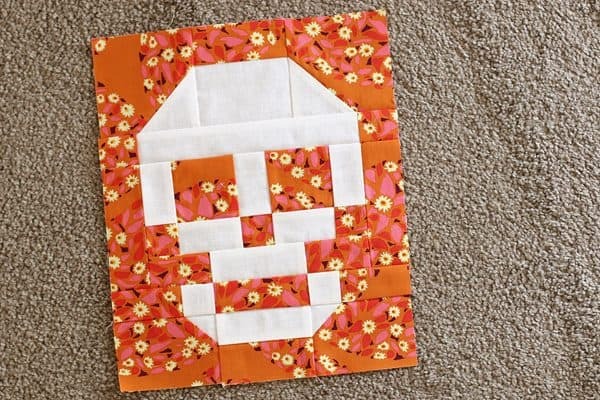 Cannot resist a skull…perfect for Dia de los muertos! Gracias mil!